For ADC input(PC0) I configured it as GPIO_Mode_AIN (analog input) that I think it's correct but I doubt about other parts. in this function I just want to read the X axis then I configured PC1(+Y) as output push-pull and PC3(-Y) input pull-down and PC2(-X) as input floating. are they correct? I got the idea from here. What do you think? Edit1: or maybe the problem is the ADC because even when I don't touch the screen, it gives me some strange value. shouldn't it give me 0 at input? Browse other questions tagged adc c touchscreen stm32f10x touch-panel or ask your own question. 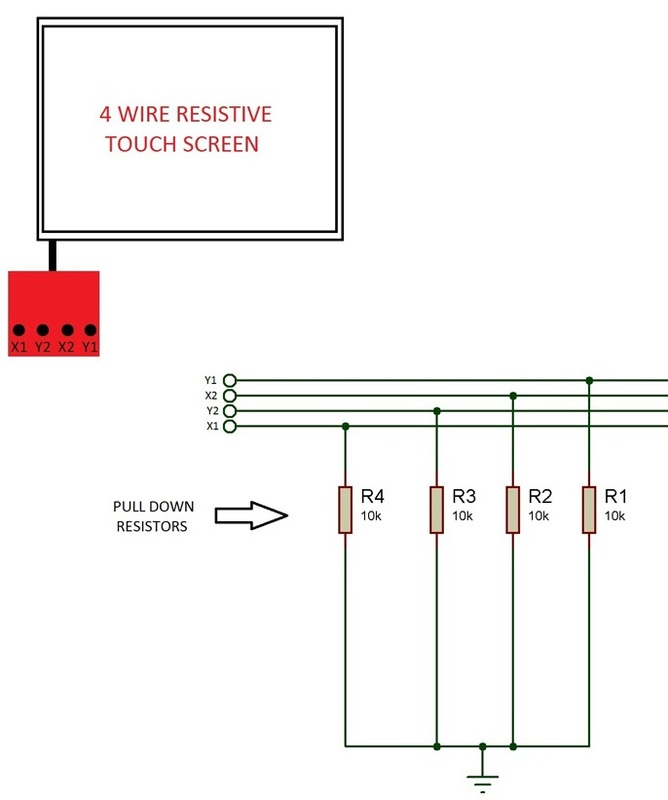 How and What do pullup resistors do? Is connecting the V_REF- pin for a dsPIC mandatory? ADC STM32L476RG : Why do I have an offset when connected to 0V?